Mildew is a fungus that thrives in humid, damp places. If your window blinds become wet or you are experiencing humid weather, mildew may form on the blinds. Mildew on blinds is unsightly and can diminish the appearance of the entire room. Clean mildewed blinds at first sight with common household products before the mildew spreads further. Keep your blinds dry and control indoor humidity to reduce the chances of mildew growth. Remove the blinds from the window. Directions for removing the blinds will vary depending on how they are hung. You may need a screwdriver to take down the blinds. Line the bottom of your bathtub with an old towel. Extend the blinds to their full length with the slats open and lay them in the tub. Fill the bathtub with enough water to completely cover the blinds. Add 1 cup chlorine bleach and 8 oz. 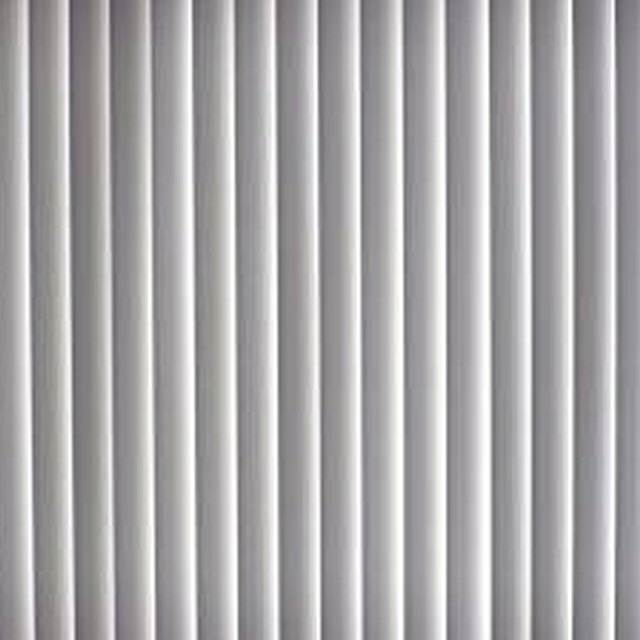 of baking soda if the blinds are white. For colored blinds, use 2 cups white vinegar and 8 oz. of baking soda. Let the blinds soak in the tub for about 20 minutes. Scrub the mildewed blinds with a rag dipped in the bathtub water. Rinse off the blinds with water from the shower. If possible, hang the blinds outside to dry. If you cannot take them outside, lay them on a towel on the bathroom floor to dry. Do not use this method for fabric blinds. Take the blinds to a dry cleaner for mildew removal. Do not mix bleach and vinegar together. Mixing these two ingredients can produce toxic fumes.